Albay’s newly discovered ecotourism sites are now selling like the proverbial hotcakes which further strengthen the province’s recent overwhelming tourism gains and further consolidate its new status as a global tourist destination in southern Luzon. Albay Gov. Joey Salceda said the new sites, well-clustered within a 15-kilometer radius with the postcard perfect Cagsawa Ruins as focal point, have recently become favorite destinations among tourists and are now favorite selfie posts in the social media. The new sites include the Naglaus-Milaos Underground River and Sigpit Waterfalls and cliff jumping, in Del Rosario village, Jovellar town; the Quitinday Greenhills, an interactive, trekking and selfie-terrific rolling hills, and caves in Camalig; the Guinanayan White Beach and Island Hopping in Galicia Village, Rapurapu; the Nagaso Hot Spring and Inang Maharang Boiling Lake in Manito; the Lignon Hill Zip Line, and other recreation activities centers in Legazpi City. World famous majestic Mayon Volcano, a newly listed UNESCO Heritage Site, and the Albay Biosphere Reserve which is presently pending for a UNESCO listing, banner Albay’s ecotourism attractions which the province now strongly pushes, along with culinary tourism, that focuses on its rich native cuisines, and sports tourism. 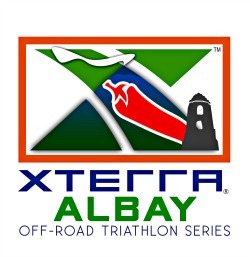 It hosts the XTERRA Triathlon for three years that started last February, and the Palarong Pambansa 2016. Albay’s unprecedented tourism growth benefits many and helps local industries flourish. It has inspired local folks to search for potential locations they could convert into tourist spots, which turned out to be abundant. The strategy is expected to play an even more pivotal role when the Bicol International Airport in Daraga town opens in 2017 and unlock Bicol’s floodgates to intensive international tourism. Albayanos have been awakened and inspired by the bounty offered by tourism, and are scouring hills and forests in search of caves, rivers and lagoons that could become tourist sites. That have also started digging deep into their historic and storied past for treasured heritage, and have sought experts from the National Historical Commission and National Museum to teach them how to explore and preserve natural and built-up assets below and above ground, he said. “Even ordinary tour guides and local wanderers have become amateur archeologists picking up bones and seashells on mountain peaks and conjuring myths out of stories by their elders’” he noted. To mitigate risks, he said, the province has fielded experts to brief local stakeholders on safety and risk-reduction measures; sent environmental experts to show them how to protect and preserve natural assets; sought international organizations such as UNESCO for the recognition and protection of the local biosphere. Salceda, the country's first Tourism Star Philippines Awardee, presented Albay’s prospering tourism and its world-class culture-base strategy at the recent third general membership meeting of the Philippine Travel and Operator’s Association (Philtoa) at the Manila Hotel. He said Albay fully supports tourism and local investors by building infrastructures needed to make sites, and ensure safety, comfort and other amenities for visitors. “New circumferential roads linking sites and destinations have been carved out of forests and hills; we have sought national government funding to build water supply systems, support sustainable touristic-focused home industries; encouraged the support of local entrepreneurs for food provision, transportation, and accommodations for tourists,” he added. He said Albay has repeatedly urged the present administration to speed up the completion of the new Bicol International Airport and rehabilitate the Bicol Railway System to help ensure the comfort of arriving and departing domestic and international tourists.